It's great to be able to step off the back porch and have such luscious scenery to paint. This is in the back pasture of our West Fork ranch. No internet as yet so there's no distractions in the studio. It's difficult to blog everyday. Once a week is hard enough. 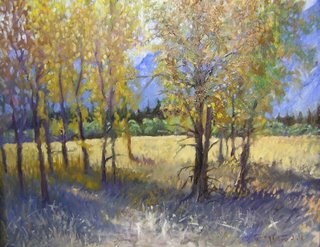 I found a great blog and website that I'll put a link on my page to, http://www.dailypainters.com, check it out. 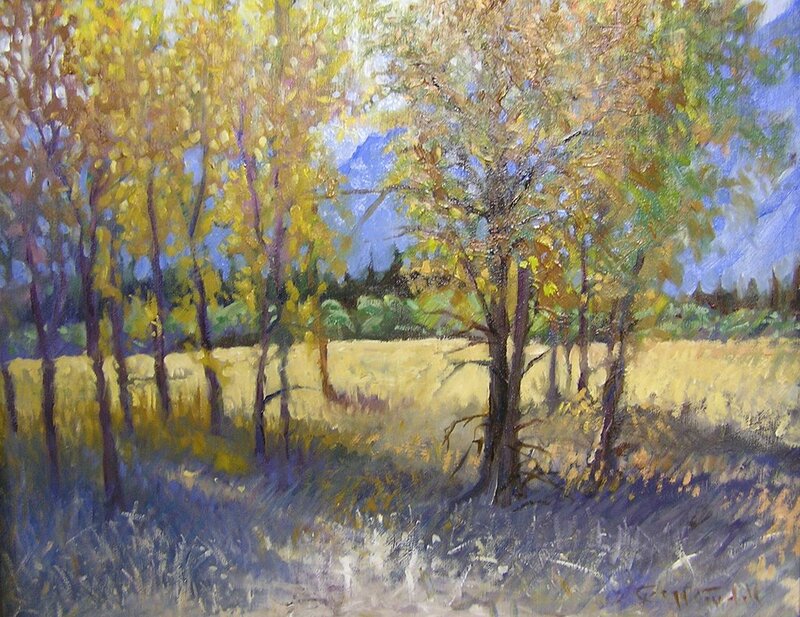 It's a great place to blog with other painters and see their work. Whoever organized it is providing a great service. Kudo's to them. You've captured some really nice light in you painting. You're fortunate to have such a nice view off of your porch.